Free and try and still Cheap to buy Windows Automation Software is presented in this post. 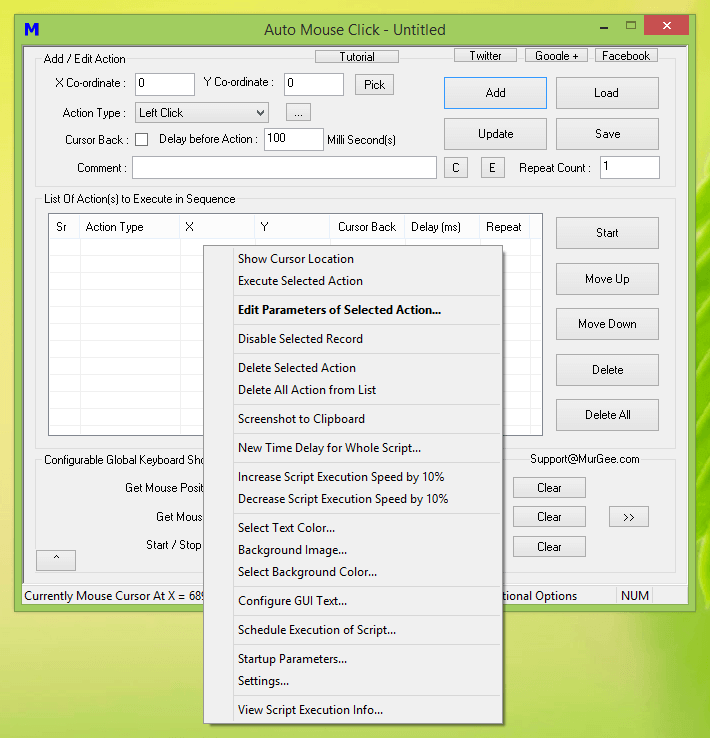 The Automation supported by the software is mostly by Automating Mouse and Keyboard Actions. Yes there is no complex stuff involved like writing code, understanding API, programming complex logic, etc. The best part of using this Cheap Automation Software is that everybody can understand it within few minutes. The Automation Software presented here is inexpensive so that everybody can get use it and yes free trial is available. Read on to know more about this user friendly and easy to learn Automation Software designed for Windows and tested on various Windows versions like Windows 10, Windows 8.1, Windows 8, Windows 7, Windows Vista , Windows Server editions and even on Windows XP. As the above screenshot displays, this Windows Automation Software allows you to create a Macro Script which runs from top to bottom and does not requires writing code or designing complex logic. All you need to know is steps required to do a task manually and that’s it. 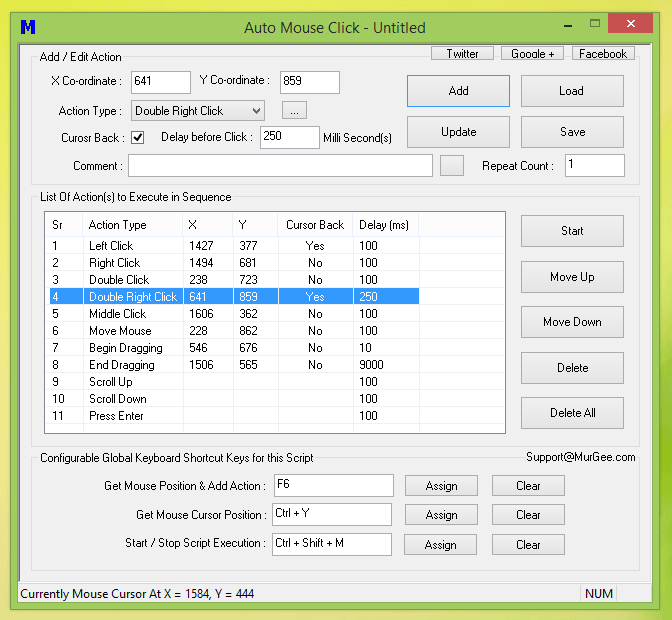 Automation with this Auto Mouse Click Software is just telling how you want it to repeat the steps you want to be automated. Yes there is much more in the software apart from Automating Mouse and Keyboard Actions like opening a File, Launching a Website, Text to Speech / Voice Conversion, Recording and Playback of Mouse and Keyboard Actions , etc. To view all the features of the software, you can either download the free trial on your Windows Computer or read on to view other screenshots. 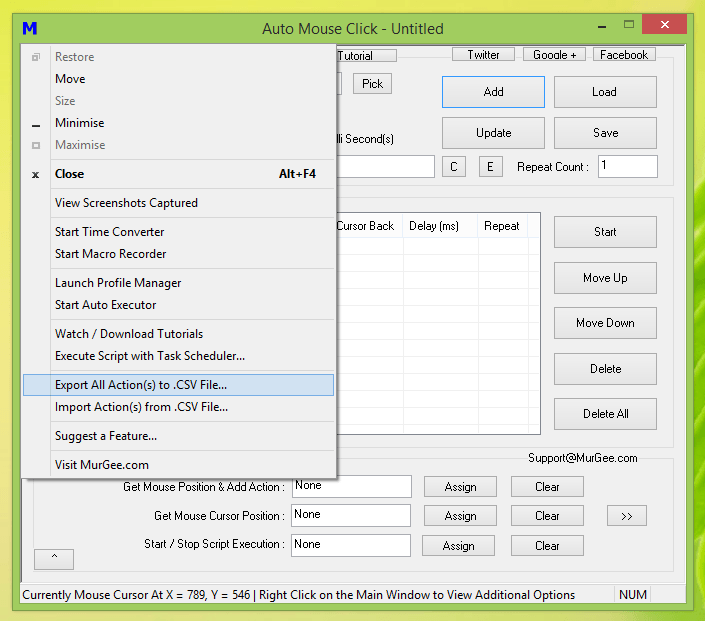 The given below screenshot of this Cheap Automation Software displays what all features are available from the Right Click Menu. Adding / Editing of Actions to the Script is fully supported with Graphical User Interface and creating an Automation Script with this Windows Automation Software is really easy and fun. 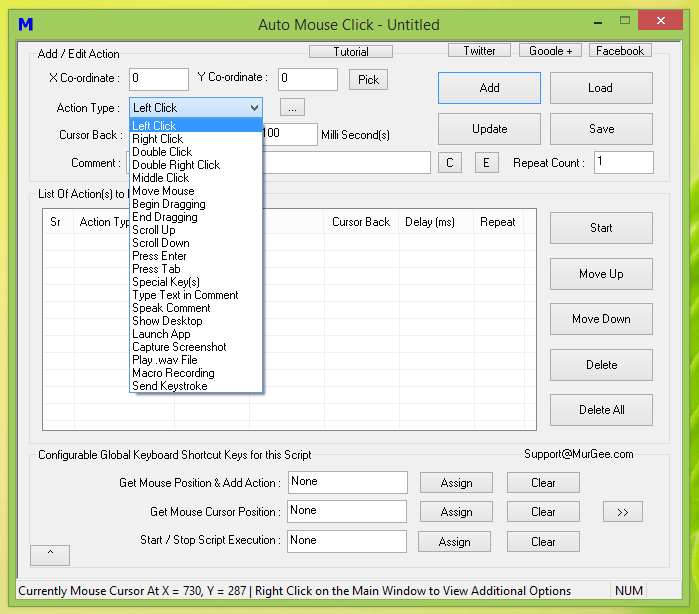 In case you want to Automate few Actions of your Desktop or Online Game, this Auto Mouse Click Software is the perfect choice for you. In case you are feeling lazy to manually add steps to the script, you can simply use the inbuilt User Input Recorder to record and playback Mouse and Keyboard Actions. All you need to remember is this Automation Software has got no intelligence of it’s own and it will do whatever you program it to do. As displayed by the Screenshot above, there are lots of Action Types which can be Automated within a matter of Minutes. Whether you want your Mouse Cursor to Click at a pre-defined screen co-ordinates multiple times, Automate Typing of Text, Automate Mouse Drag and Drop and anything else, you can create a Script and let this Cheap Automation Software do the Work for you. 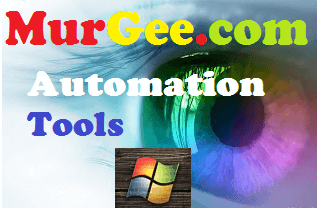 Automated Software Testing, Automated Mouse Clicking, Automated Text Typing, Automation of Repetitive and Complex Tasks and much more can be done with this low cost Automation Software for Windows. Each and every Graphical User Interface of the Software has been designed to assist you to create, edit and manage your Windows Automation Scripts. The Status bar of the Application displays current Mouse Cursor co-ordinates, Title bar of the Software displays the current Script File Name, the inbuilt Script Editor supports Editing of Script Actions by Double Clicking on the Script, Global Keyboard Keyboard Shortcuts to help you in executing the scripts, On Screen Video Tutorials to assist you in finding various features of the software, inbuilt Profile Manager to manage Multiple Scripts and on top of everything you also get Free Customer Support. This Cheap Automation Software offers so many features that the best way to fully evaluate it’s features is to download and install it. 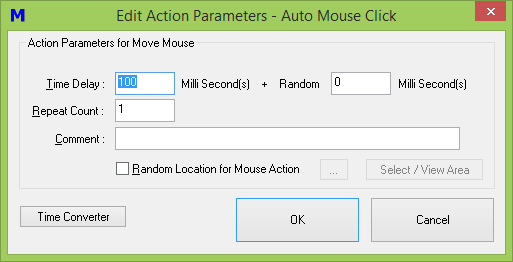 Whether you are using 32 bit or 64 bit version of Microsoft Windows, whether you do have admin access to your Windows Computer or not, this Cheap Automation Software titled Auto Mouse Click has been designed to work in almost any scenario. The Free Trial of the Software is not restricted in any manner apart from limited usage limitation. There are no nagging reminders or pop-ups in the software asking you to pay money. Give it a try and you would surely find that it is a really nice Windows Automation Software capable of Automating almost anything on your Windows Computer. Once you have fully evaluated the software and you are confident that the software is worth the time and efforts spent on it, you can pay the $5.00 Registration Fees and Unlock it’s trial. Yes you read correct, it’s only $5.00 to Unlock Trial and the Software Licence Management is Automated so after you have paid the Software Registration Fees, you can Unlock the Trial in a couple of minutes. Yes this is the Best and Cheapest Windows Automation Software designed by Professionals so that you can use it to Automate Games, Repetitive tasks and anything else which can save your time and efforts.